Here are some links to Projects by me, completed during the course in Authoring Websites with HTML5 and CSS3. Click on the pictures to view the actual web page/site. Projects (click on these visuals to enter their sites). This passion project content is marketed towards hippies (past and present) using a blog style approach. It relates to the 1960's period, using retro graphic wallpaper and psychedelic colouring of that time. If you sought or seek spontaneity, and expanded consciousness then this is the site for you. I was keen to explore the graphics side of web design. I stretched myself alot here and certainly set a great challenge. 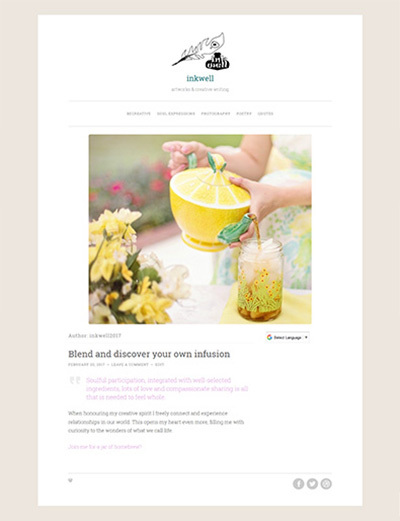 I wanted to focus on styling and curve graphics to give the layout a fresh feel. For this website, I engaged a little bit of playfulness around the subject matter. There were certain criterias I had to meet that would not be of my own preferential choosing. However, that said, I made sure to enjoy and have some fun with this project. The home page is where I introduce you to how I met a certain extraordinary rabbit. The pages that follow are the voice of said rabbit. 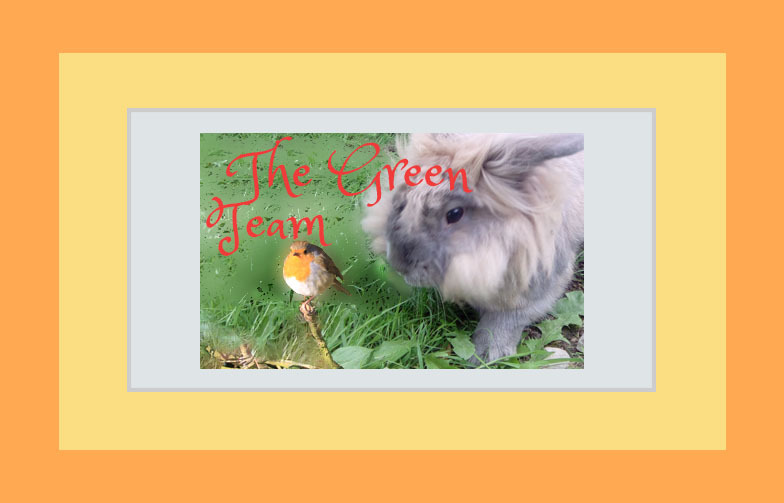 As Chief Foreman of many environmental projects, he rabbits on (excuse the pun) about his supportive 'Green Team' members - a group of selfless conscientous beings serving humanity. They are driven to go about their daily nature tasks reflecting interconnectedness to us all. They lift the spirits of those in the community with their projects. Their current project is bringing new life to an environment that will be abundant with new growth in late Spring after our second Snow Storm. Wild flowers will bloom in the Summer months. Combining audio and video within my next website was really exciting for me. I had the opportunity to express myself in another way. I love Movie Maker simply because I get to develop a flick from scratch. Using stills permits me to sequence and edit as I wish. I relish conceptualizing. I saw it as an opportunity to celebrate Ireland's international community spirit. The learning process around the audio as well as converting/ editing it was immense. I risked first-time interviewing skills. I use different dimensions in this website. I sought to form a bridge between the old and the new, with the look of the page bringing a little nostalgia into the fold. The image shown was developed in photoshop. Its original had great depth of field and sharply focussed athletes in the frame. I motion-blurred parts of the whole visual to enhance a speed effect. 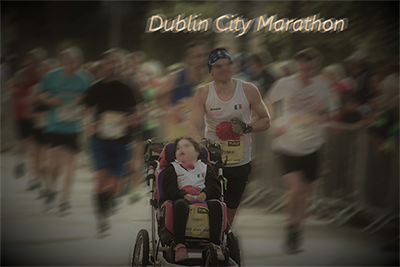 A zoomed-in title style is in keeping with the running event. To finish off, I introduced scratches. Facial features and numbers are unrecognizable on this page. A dark vignette guides our eye inside a Burlesque colour scheme. Note those Irish flags! This is a blog style website with artworks and creative writing in mind. The inkwell logo is a vector graphic, designed in Adobe Illustrator. Its origins are derivative from a responsive WordPress Software Site that looks well on all devices. It is the most popular open source Content Management System (CMS). I gave the look a calm, clean, crisp, yet, simple style not to take focus away from the creative content within. This is a project that will allow work to be continuously added over time. I have been busy working on other websites and visuals for websites which has taken me away from adding new content in a while. I still continue to take photographs, discovering my style of photography and learning new skills. I am looking forward to getting back to my creative writing too. Thank you for taking time to view these projects. I hope you had an enjoyable experience. 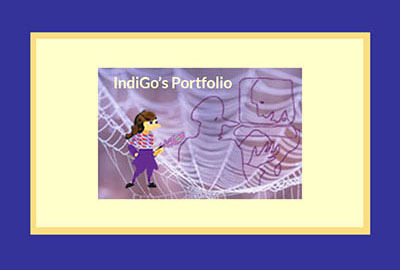 Here is an accumulation of work presented in a portfolio website. The production of this work involved embracing different roles and wearing a variety of hats: visualizer; wireframer; photoshop developer; coder and launcher. In a working environment this is usually not the case for one person to take on alone, unless one is self-employed. However, knowledge of all roles can stand to one in understanding the potential pitfalls, and thereby finding ways to avoid them. My strength lies in the visual arena. Learning a new language has been most challenging. I can finally say that the journey has been rewarding and the gift is the ability to build one's own personal site, make changes and upgrade it anytime. Watch this space - who knows what my next step of adventure will be? All opportunities welcome.